For the Atlanta head-quartered aerated beverage maker Coco Cola, India has so far been a mixed bag. It is its sixth largest market in volume terms but a market in which its arch-rival Pepsico has periodically had an upper hand. James Quincey, who recently took over as Coca-Cola’s president and chief executive, wants to reset this situation. His mandate to the Indian management which he says has been fully empowered, is to become the fifth largest market in the near future and lay the foundation to becoming the third largest over time. He was speaking to the media during his first visit to India in his new role. To achieve this, the company has committed to invest up to $5 billion by 2020. “We are in line with this investment. We will keep investing in India as the future is very positive,” he said. He agreed that the business was rough for a few months earlier this year but things have turned around, he added. The company, he said, is adopting a three pronged strategy to fuel its growth. It is diversifying its product base away from aerated drinks which still accounts for a significant share of the business. The company has been launching fruit juices, and this trend will only increase. “In the next five years, our cola revenues will grow but the overall revenue aided by non-cola brands will grow even faster,” Quincey said. Apart from fruit juices, the company has been piloting dairy products as well. The company is also repackaging its drinks in smaller packs to reduce the quantum of sugar, thereby offering a healthier option to its consumers. It is also looking at re-formulation for the same reason. But Quincey clarified that it does not mean the end of its traditional cola beverages. 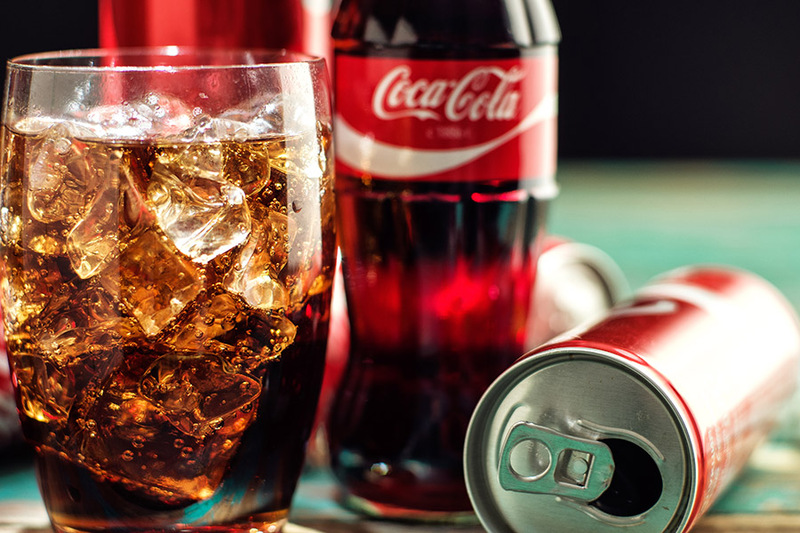 Innovation, he said, is at the heart of what Coca-Cola is attempting today both, in terms of product diversification and packaging, apart from the way it communicates with its customers and other stakeholders. When asked if he would (like his arch-rival Pepsico) foray into the food and the snack market, Quincey acknowledged that he would, only if there is a clear value-add but quickly pointed out that the focus will continue to be the beverages.